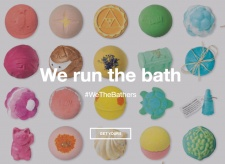 UK-based cosmetics company Lush is leaving social media behind. The company announced yesterday that it would be moving away from its online channels, which includes Facebook, Instagram and Twitter. Lush, which boasts 202k followers on Twitter and 569k on Instagram, posted a statement to its social channels detailing why the company is making this change. "Increasingly, social media is making it harder and harder for us to talk to each other directly. We are tired of fighting with algorithms, and we do not want to pay to appear in your newsfeed," Lush wrote. This also means that customers will not be able to communicate with the company via these channels. Customer service will be handled via more traditional methods, such as email and phone. New products and ranges will be unveiled via the company's email newsletter. Lush has always gone hard on its social media presence; their ever-expanding range of dazzling, colourful products makes them incredibly Insta-worthy. The company has also actively engaged with influencers to deliver promotional campaigns. However, the company believes that ditching its social presence will place Lush "back in the hands of our communities". Lush is ironically encouraging fans and customers to join in the conversation about its departure by using the hashtag #LushCommunity.